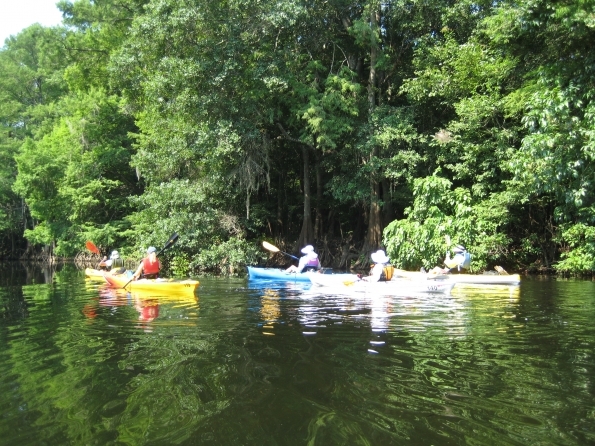 After every rain event, the pungent smell of sewage can be detected around the rivers and streams of south Georgia, and Florida residents brace for more to float their way. At 305 million gallons spilled in seven years, by the city and EPD’s reckoning, Valdosta has spewed more raw and partially treated sewage into the waters of the state than any other municipality ever has. If anybody posting on the LAKE blog made an assertion like that last sentence, evidence to back it up would be included or linked to, even in an editorial. The Times found several manholes leaking sewage this week that the city didn’t know about. It’s difficult to find spewing manholes if you aren’t even looking. And if you don’t know about spills, you don’t have to report them. I commend the VDT on its investigative reporting! Here’s that story, by Matthew Woody, 13 April 2014, City sewage woes continue: More than 305 million gallons and counting. But maybe I missed any story the VDT did about the Lowndes County sewer main spill into the Withlacoochee River that the city of Valdosta found and told the county about. WCTV covered it. Why didn’t the VDT cover it, and ask the county why the county didn’t find its own leak? 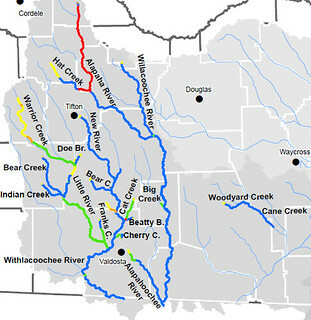 However, the VDT has done zero investigative reporting on the PCBs, TVA coal ash, and wastewater from a Superfund site in Waycross in the Pecan Row landfill in Lowndes County just uphill from the Withlacoochee River and in a recharge zone for the Floridan Aquifer, our source of drinking water. Between city employees, citizens and civic groups, surely there are enough volunteers to “adopt” manholes to report leaks in order to expend the millions in resources the city has at its disposal to stop the sewage from flowing. How about an interactive citizen-input map like the city of Dunwoody, GA provides online? Maybe Lowndes County’s new turnkey government website service can do that; according to the County Clerk it can do trouble ticket tracking. Will the VDT ask the county about that? And will the VDT ask the city of Valdosta when it will implement software that can do that? Given the VDT’s desire for citizen participation, it’s unfortunate the VDT doesn’t seem to be covering citizens any more, at least when they speak before local elected or appointed bodies. It’s a shame that environmental groups are more interested in stopping theoretical disasters than addressing real ones. It’s also a shame that those whose lack of oversight and judgment has allowed water pollution of this magnitude continue to go unpunished. When the VDT provided a civics lesson on how to stop the biomass plant. The VDT’s editorial about “When officials act like they are hiding something, they usually are” was specifically directed at the Industrial Authority and its refusal to divulge information about the biomass plant. The VDT covered local and national news about private prisons that may have contributed to cancelling of the proposed private prison. …the entire county commission was voted out of office following the decision to bring Sterling Chemical Co. to the community. Sterling, known today as Erco Worldwide, remains here but the wounds the battle over the industry left community-wide were far-reaching and deep. The VDT has done some pretty good coverage of the Sabal Trail methane pipeline unanswered questions. Perhaps the VDT is unaware that the City of Valdosta’s ongoing sewage woes are one of the reasons WWALS Watershed Coalition was formed. The first speaker after WWALS incorporation was Emily Davenport, Storm Water Utilities Director, City of Valdosta, 27 June 2013. Valdosta City Council Tim Carroll spoke to WWALS 13 March 2013 about the need for watershed-wide planning to reduce flooding and provide water for agriculture with distributed flood containment reservoirs. He referred to Valdosta City Manager Larry Hanson’s 2010 presentation to the Suwannee-Satilla Water Council about the 2009 flood and the letter Valdosta sent to the U.S. Army Corps of Engineers (USACE) requesting assistance. 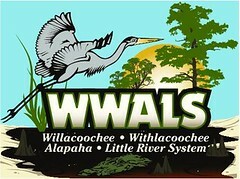 WWALS also filed with FERC as an intervenor against the Sabal Trail pipeline and is co-sponsoring a Paddle Against the Pipeline on the Withlacoochee River this Saturday, 7:30AM, 19 April 2014, which is also a Georgia Sierra Club John Muir Outing and in conjunction with SpectraBusters.org, which is another organization the VDT seems never to cover. The saying is that “fish stink from the head down.” Until the real problems are addressed, the sewage will continue to flow. Yet the VDT editorial did not mention the real underlying problems of too much clear-cutting, development with impervious surfaces, and lack of riparian buffers. It also did not mention USACE’s flood control studies and the efforts of Valdosta, Lowndes County, and numerous other cities and counties in Georgia and Florida, plus an alphabet soup of federal and state agencies. Sure, the VDT has occasionally picked up city of Valdosta PR about that, but why no mention in an editorial decrying lack of efforts to fix the problem? If the VDT wants citizen participation, perhaps the VDT could call on USACE and the city of Valdosta and the county of Lowndes to hold the public citizen participation meetings about the watershed flooding study that have been promised for a year but never held? There are some good ideas in that editorial, and I look forward to seeing the VDT apply them. Great points. I think we need more not less theory if we are to address the regional as well as local causes of the water quality issues. Contamination of groundwater by pipelines, though, is a real and not just a theoretical concern.